Some situations call for appropriate dress. Luckily for me, I don’t often encounter those situations. But working people, pay attention. What you wear may save your career, your life or at least another entry on your rap sheet. Each occupation has its own dress requirements, but not everyone in the field follows them. Consider the would-be burglar/fashionista who tried — unsuccessfully — to break into a friend’s house one morning this week. My friend came home to find a small window broken in her back door. When the police came, they searched the surrounding area, including her deck. 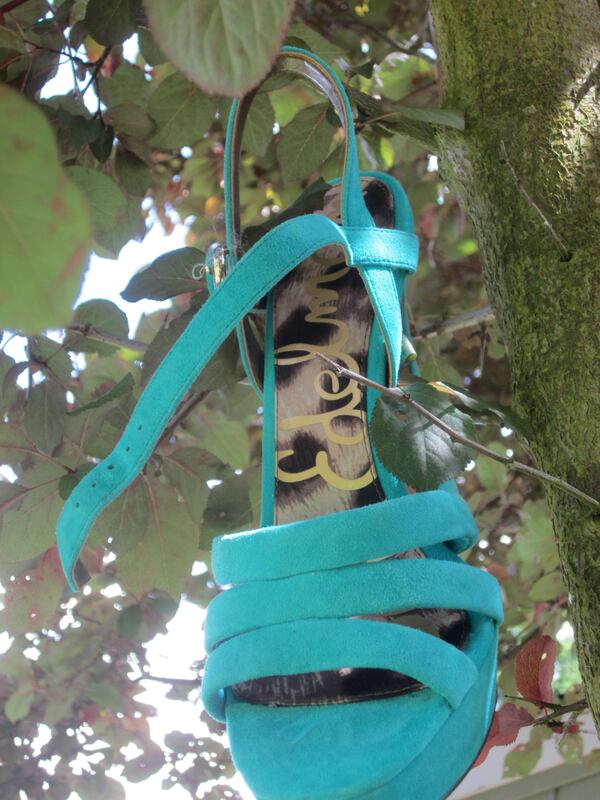 They spotted one wedge sandal with a four-inch heel suspended from a tree overlooking the deck and the other lodged in a bush below. Apparently the burglar had climbed the tree so she could jump to the deck and look for an open entry or a window to break. Can you believe that? Dressing up in high heels for a burglary? The internet has about one jillion image consultants, personal shoppers, fashion consultants and lifestyle consultants at one’s fingertips. I’m willing to bet that if any of them had known this woman’s occupation, none would have suggested wedge sandals to aid in second-story work or fast getaways. My own quick research leads me to recommend the Vibram Five Fingers Running Shoes from REI (yes, there’s a slot for each toe, which should be a boon for a job that requires feet to grab hold of tree branches), although potential eyewitnesses might notice the women’s models, which come in bright magenta, sky blue and verde (green). Ordinary running shoes are another possibility. Despite the tendency of women’s styles to be more colorful than men’s, gray shoes with only small accents are easy to find. When my friend told me this story, the first thing that came to mind is that this was a variation on the Cinderella tale. The only change would take place at the ending when the police had one of the ugly stepsisters try on the shoe only to find that it fit. This entry was posted in humor and tagged bungled robbery, dressing for success, fashion statements by robbers. Bookmark the permalink. Yes! We should add a year or two to the sentences of criminals who commit crimes in the wrong clothing. LOL! Another reason not to wear platform heels!